My life resembles the story line of the famous English book Dr Jackal and Mr Hyde. I was born Wandile Sincwala on the 17th of July 1988. Later in my teen years I was reborn as Somizy (Somgaga) as most people around my place of birth Daveyton know me. I’m the first born to my mother, Khethiwe Sincwala and late dad Tshidiso Mashinini. I was a happy and playful child, full of life and brought joy to my family. I started school at Enkangala Primary School in 1994 and later moved to Kwa-Ntsikana Higher Primary School. I was one of the best students and participated in sports, debate and sang in the school choral choir. I was Head Boy at Ntsikana PS. As a top student, my mother supported me 100% and was proud of my achievements at that young age. Being called “isitabane” is the reason I excelled. I told myself, “I am going to be the best in whatever I do,” it gave me guts to excel. This is what Wandile was about, being an excellent student. The birth of Somizy was in 2002 in my first year in high school Lesiba Secondary School. My friends from primary all went to different schools. I went to a new school, made new friends and faced new challenges. I continued to be the best excellent student academically, played sports (Netball) and also sang in the school choral, leading in the choir and also an opera solo tenor. Later in my high school years I lost the drive. I focused more on being “Somizy the dancer” as I was nicknamed. I danced at school concerts, during shows and started attending parties during weekends like any other teenager. In Grade 11 I was “out” and lived my life the way I thought being gay was about, booze, boys and living carelessly. I dropped out of school, did not see the reason for education, in my mind I thought being gay was all about being rebellious. Dropping out of school was hard on my family, especially my sweet mom. She advised me to do something with my life before its too late but that advise fell on deaf ears. I could only think about going to groove and of course my outfit for that night. It took me six years to actually realise the need for education and qualification. In my six years I attempted to go back to school to finish my grades 3 times, but kept on dropping out. I worked at a restaurant, started working as a hairstylist and that has been what supported me through out the years. I finally realised that I need matric than to be wasting time enjoying my youth. I went to finish my grade 11 and this time I passed and a year after I did my matric and I did well too. Now I’m at Springs College for Further Education & Training studying towards my Diploma in Tourism. Look back; the time I wasted had an impact on the Somizy that I am today. I found myself and through the ups and downs that happened in my life. I have always been the life of partying, I enjoy dancing and through partying I have gained a lot of friends. I was at every event I could go to in and around Daveyton. In August 2012 I had a facial incident and I was hospitalised for 7 days. That was the most difficult time in my life to go through, I lost all my confidence. I lost the love I had for myself and for things around me. My face, which was my jewel, was scared, I couldn’t handle that. Somehow that was a turning point in my life. It could have been the end of Somizy, but I told myself that I’m greater than this, the devil was not going to own my life and take away my precious life. A few months after I was hospitalised I heard that Lesiba Mothibe is organising a pageant for the Daveyton LGBTI organisation called Uthingo. I had the urge to enter; I wanted to be on that stage. I had nearly lost my life so I needed to experience everything I took for granted. I approached Lesiba who is like a mother to us, and enquired about the pageant. She assisted me with the application. 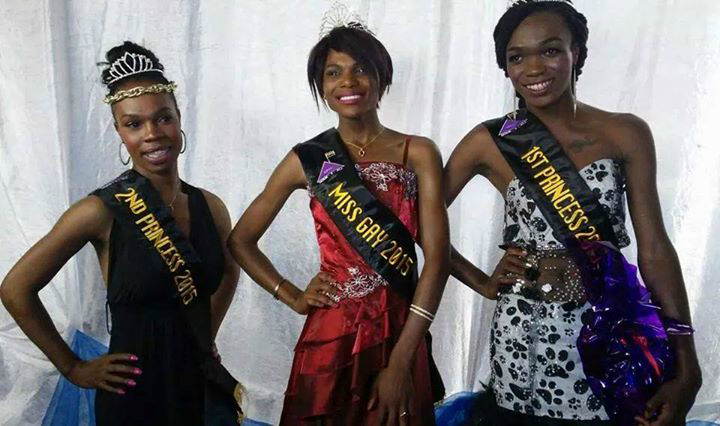 I have watched past gay pageants like Miss Gay Ekurhuleni, Miss Gay Valentine and Miss Gay Soweto, but I never thought I would take part in the future. Because it was a first pageant for most of us, Lesiba insisted on rehearsals and grooming so we could be ready. The event was hosted at Chill-Out in Maxhoseni section, in Daveyton. It was on 1st of December 2012 (World Aids Day) where I was crowned as the 1st Miss Uthingo 2012. I was surprised I won but I knew I had accomplished another milestone. Through rehearsals I regained myself, I had hope in Somizy again. It only sinked in later in the week that, I actually won, with a scared face. I bless that day, as it was the reawakening of my will power and confidence to walk tall. 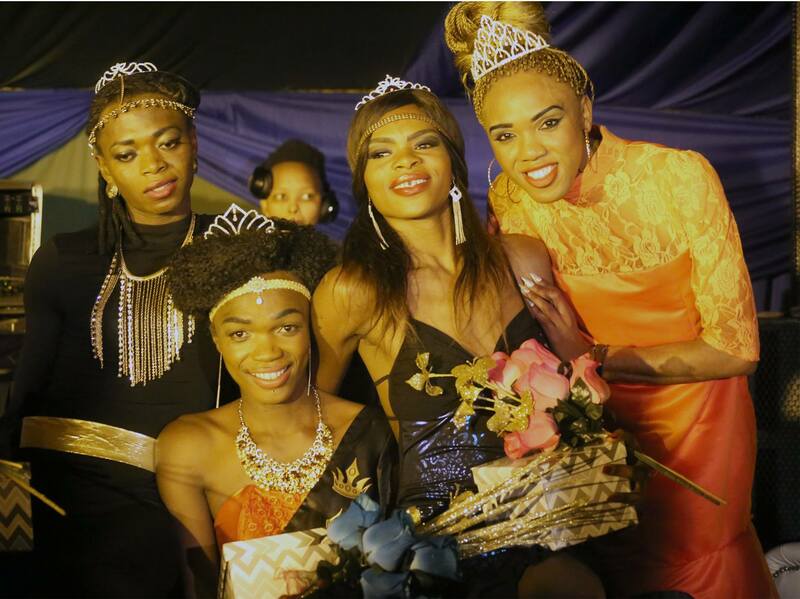 Since then I have been entering pageants from Miss Black Pride, Miss Daveyton, Miss Gay Jozi, Miss Gay Soweto, Miss Gay Queens of Queens. I’m currently Miss Mzansi Pride 2014 and also a finalist for Miss Gay Daveyton 2015, which I was crowned 1st princess in 2014. I enter pageants for my empowerment. In every pageant I enter, I walk away with a different experience and I gain more confidence in myself. Since day one entering pageants I now own 8 pairs of heels and 4 ball gowns which costs me so much, but I don’t see that as a loss because I love what I’m doing. This entry was posted in Another Approach Is Possible, Archived memories, Creating awareness, Expression, Power of the Voice, South Africa, Writing is a Right and tagged Articles, Audience, Ball gowns, Beauty pageant, Beauty queens, Being, Born 17th July 1988 -, Competing, Confidence, contests, Crowned, Cultural Activists, Daveyton township, Diploma in Tourism, Education, Empowerment, Experience, Face, facial incident, Fashion, Feelings, Freedom, friends, Fun, Gay, Hairstylist, Homosexuality, Hospitalized, Human beings, human rights, Impact, Inspiration, Jewellery, Johannesburg, Lesiba Mothibe, LGBTI, Life, Lindeka Qampi, Living..., Love, Matric, Miss Black Pride, Miss Daveyton, Miss Gay Daveyton 2015, Miss Gay Ekurhuleni, Miss Gay Jozi, Miss Gay Queens of Queens., Miss Gay Soweto, Miss Gay Valentine, Miss Mzansi Pride 2014, Organisation, Pageants, Pain, Photographs, Qualification, Rehearsals, Relationships, Somizy Sincwala, Springs College, Standing tall, Student, Style, Support, Surprised, Survived, Time, Uthingo, Visual activism, Visual history, Words. Bookmark the permalink. you are a true inspiration friend… I want you to share this to young kids who have lost they way. GOD is good. and anything is possible if you put your mind into it 🙂 love you!! !